The purpose of budget is to keep it as a personal record of all your incomes and expenses for a specific given of time. Budget is one of the important things that people must do in order to save more money and time especially when dealing for every transaction that requires payment. With the use of Sample Budget Templates, people can create their own budget according to their needs and purposes.People can use the samples presented in budget template wherein it provide simple budget to a more complex type of budget that can be used for personal, family or business interest. The samples can be downloaded free in accordance to one’s preference format. 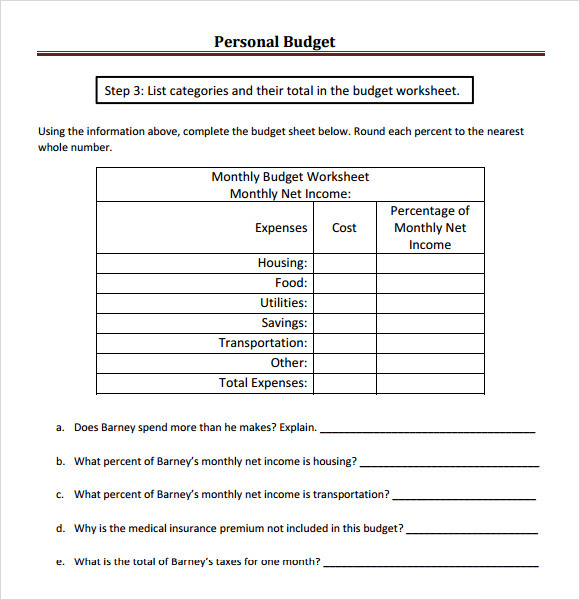 The simple personal budget template features a personal budget format in which you can easily prepare a personal budget. It consists of a table having information like cost and percentage of monthly net income which is to be filled by you in front of the expenses. 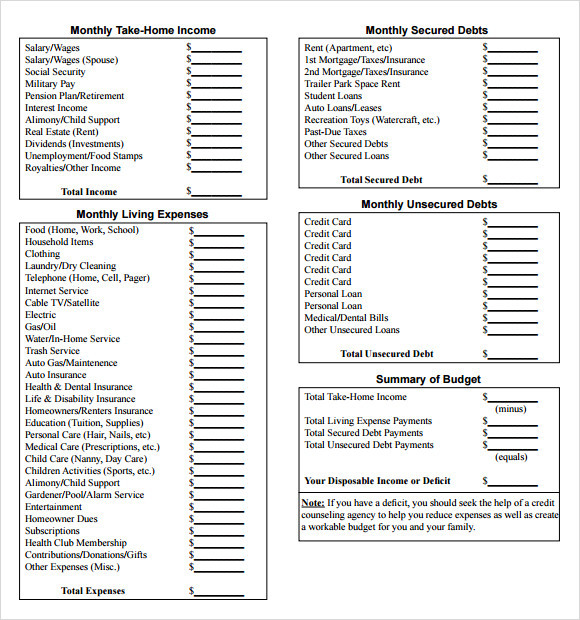 The simple monthly budget template is very easy to download as well as use. It provides you with a sample of budget specially designed for a month. It depicts information like category, monthly budget, actual amount and difference. It features some information about budget also like making a budget, first rule of budgeting and structuring your budget which also proves to be helpful. 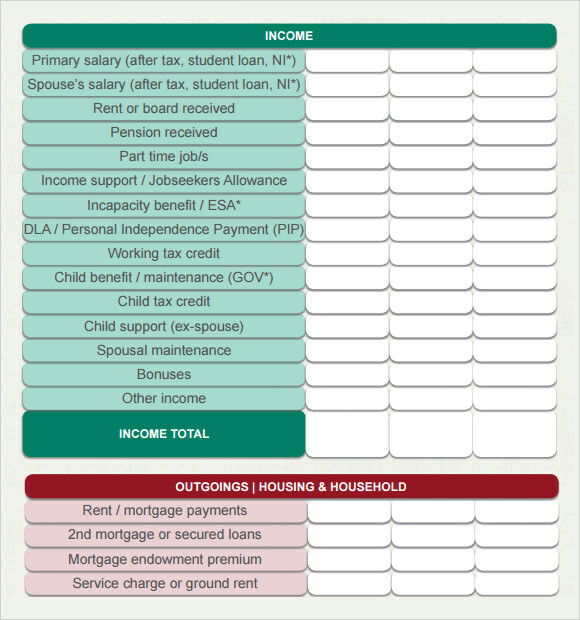 The sample household budget template features a household budgeting worksheet which is to be filled by you. All the income and expenses are provided it in it in various categories like monthly take- home income, monthly secured debts, monthly living expenses and monthly unsecured debts. Also, summary of budget is provided in it to make the total deficit highlighted. 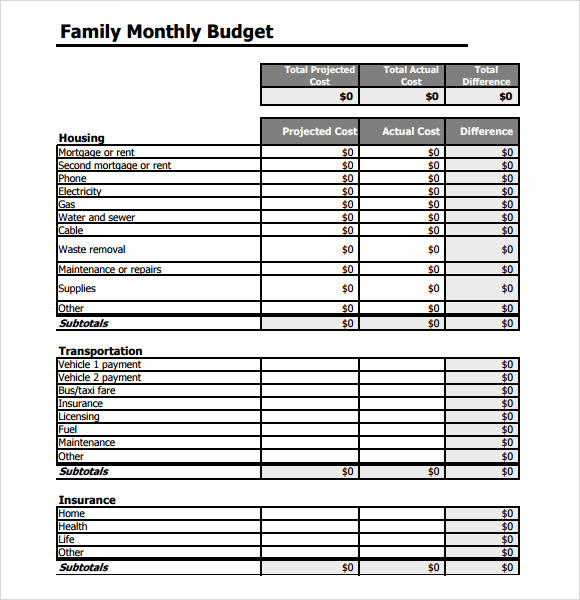 The simple family budget template provides you with a budget planner which is specially designed for preparing the budget for family. This template has a classy design which makes it look presentable as well as organised. It features details like category, budget, actual and difference. The category column is already filled and rest others are to be filled by you. Why is the Simple Budget Template Needed? 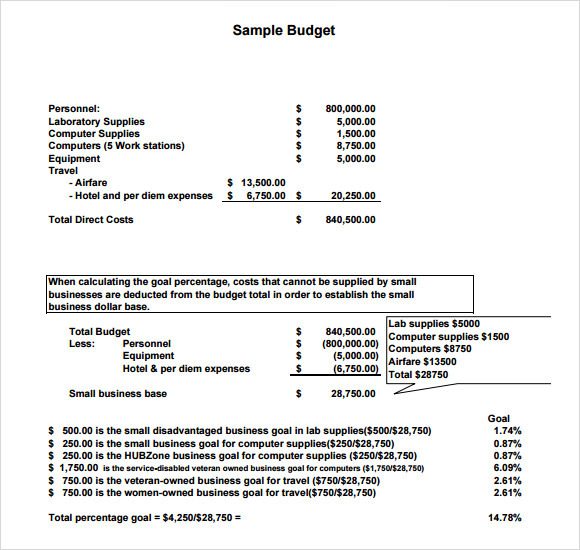 The simple budget template is needed for drafting the budgets in a simple but proper way. These templates are needed so that you can get an idea of your expenses incurred and try to cut them off with different methods. These templates are needed for various types of budgets like for preparing family budget, personal budget, monthly budget, business budget or household budget. 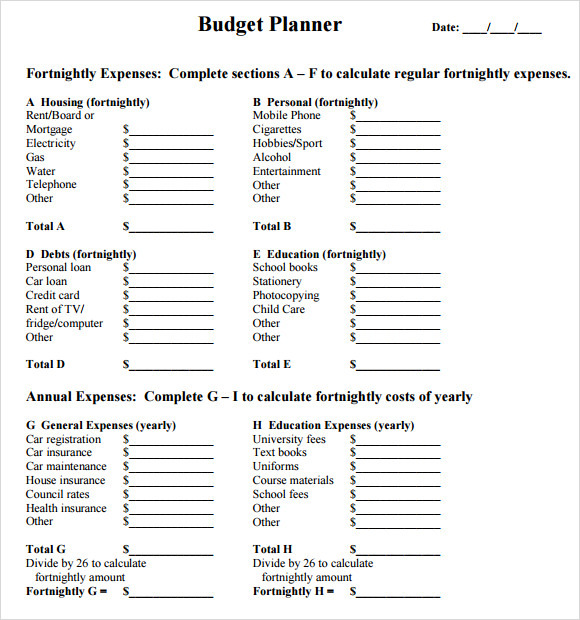 The formats provided in these templates helps you a great deal in preparing the budget as they are all well formatted and consist of all the required information along while making it look organised.You can also see Sample Budget Templates. When is the Simple Budget Template Needed? The simple budget template is needed when you to reduce your expenses and increase your savings and one of the best ways of doing it is to prepare the budget. It is also needed to save your time as well as energy which may end up going in drafting the budget all by your own. 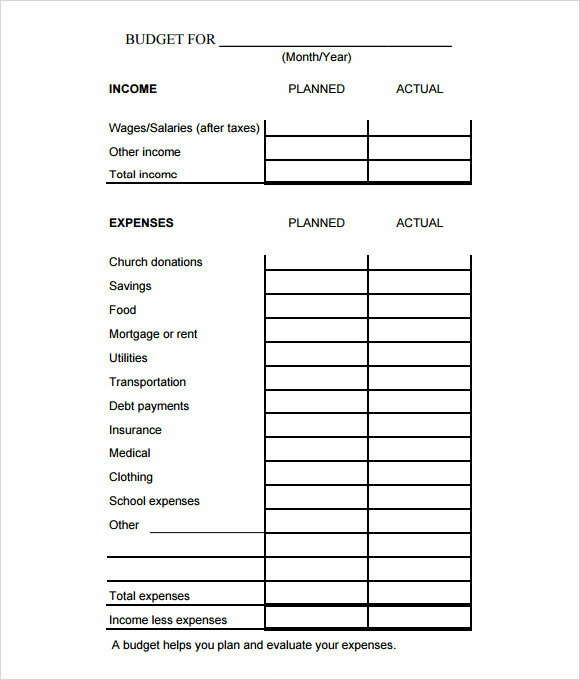 But, the templates provide you with all the information already and you are just needed to the fill in the amount spent in expenses column, that’s all. These templates might also be needed if you are unable to stop your habit of excessive spending as it will help you in noticing even the minutest of expenses made by you. The simple budget template comes along with various benefits. It helps you in realising that where your money is going by providing you with a record of how much amount have been spent on a particular thing or activity. 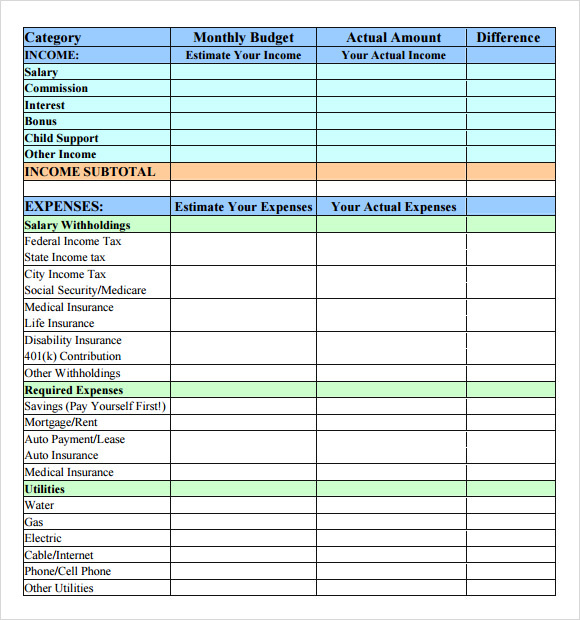 With the help of these templates, you can also prepare budgets for different reasons or occasions like for business or households and also for different times like weekly or monthly. A budget proves to be beneficial in any way where money is concerned or more appropriately, saving money is concerned. This budget also helps you in spending your money wisely. The simple budget template comes in several designs which are available online, out of which you can choose the one that best suits your requirements. These templates are extremely easy to download. They also have user- friendly interface which it easier to use also.You can also see Cash Budget Templates.